Space is limited, reserve now. $75/ticket with No on-line processing fees. 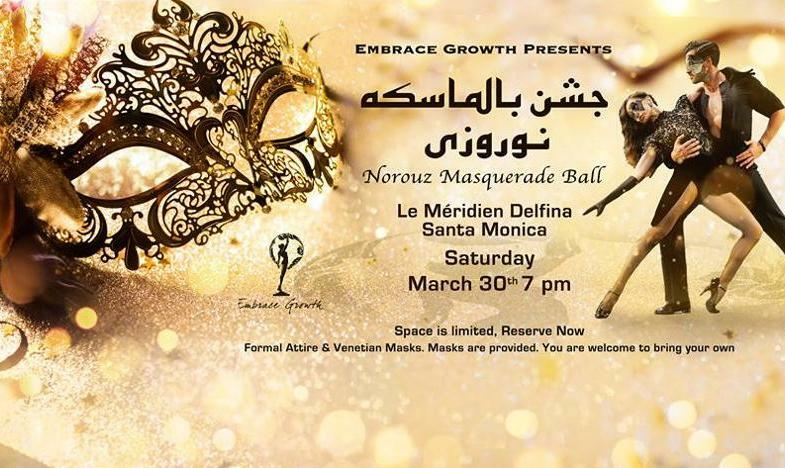 The Norouz Masquerade Ball in Santa Monica, CA on March 30, 2019.